What if you knew what Young Living Diamond Sarah Harnisch knew? What if you knew how she did it? From struggling to abundance, from starter kit to Diamond … all while balancing work, family, and her Young Living business? 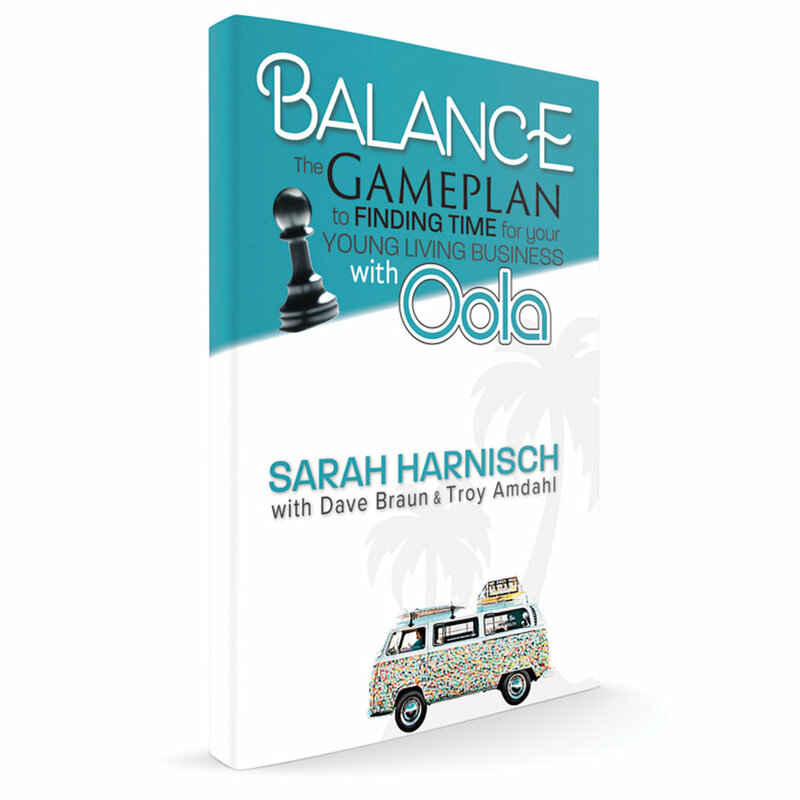 What you may not know is that Sarah used the principles of Oola to find the time for her Young Living business and now, she's sharing her secrets with you! They are available in her new book and with the free downloadable bonus material provided below. You DO have time. You CAN make this work. You just need the tools and the strategy to pull yourself out of the rut. You can get to the end of the day feeling complete, accomplished, and rested. Download the free bonus material below.